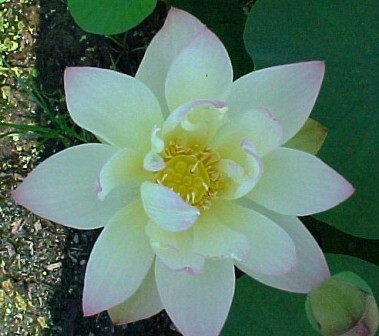 There are eight Buddhist symbols and the lotus is the 8th symbol. 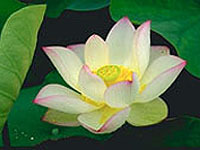 The lotus symbolizes faithfulness. 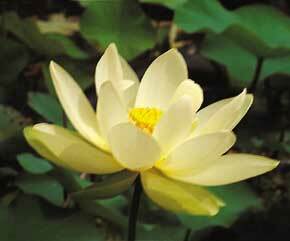 Different parts of the lotus represent different elements but to briefly explain: The Lotus means love, good health, long life, honor, divinity, and fertility. 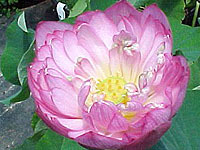 Lotus are started in the house in early to mid-January to insure that they bloom the first year. 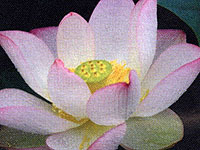 Lotus are only shipped January - March or until we sell out. 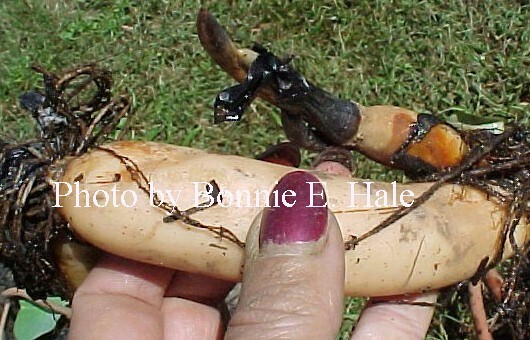 The tubers are only shipped while dormant. 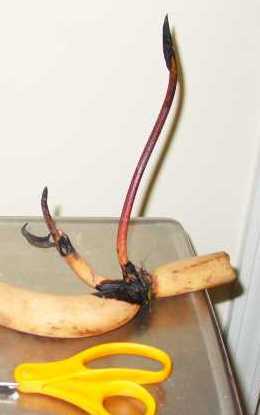 Lotus tubers can vary in size and shape. In fact NO two are alike. Some will be long and thin, some short and fat. The above photos are representative of what your tuber may look like. 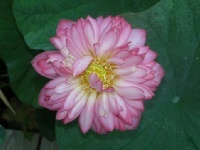 The size depends on many factors: the variety (dwarf or medium or large growing). 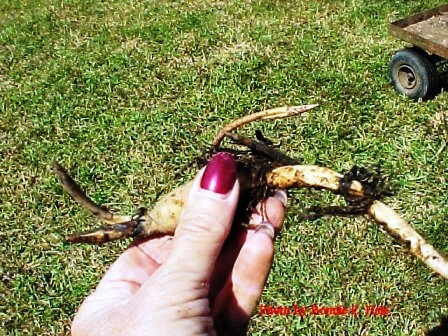 One thing is for certain a viable tuber must contain a node and internodes. 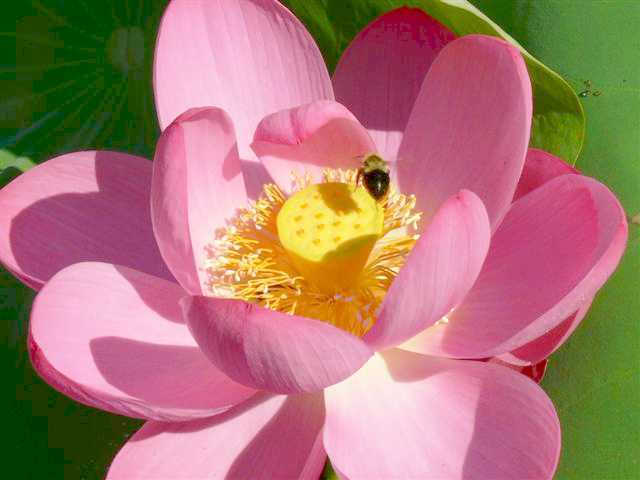 Many do not know how to divide lotus and if they do not include a node and internodes the tuber is doomed right from the start. 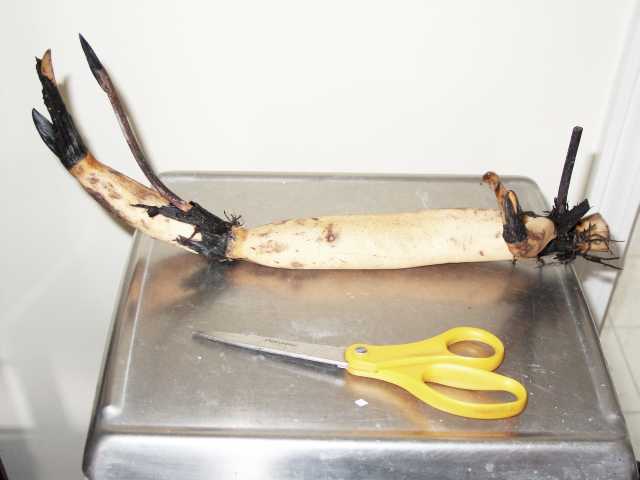 When we cut the tubers we make sure that there is at least 2 growing tips. There could however be more than 2.